Johannesburg is an extraordinary city, born just over 120 years ago with the discovery of gold and since then it always has been a city of commerce and opportunity. Even today Joburg continues to attract those looking for opportunity  its a city populated by people who have come to realise their dreams. 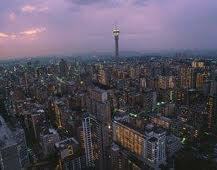 The area of Johannesburg began on a vast undulating grassy plain, interspersed with ridges andkopjes (small hills)in an area known as the Witwatersrand; named after the white water springs that coursed the land. Beneath that rough but serene country was gold. Until George Harrison, an Australian prospector, came pioneering, the mineral wealth of the Witwatersrand lay undiscovered. 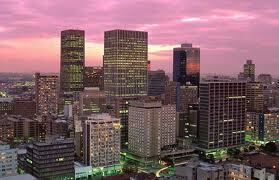 In 1886, after George had sold his gold claim for just £10, Johannesburg was born. 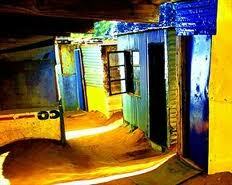 He could not have envisaged the significant world history that would unfold here in the province of Gauteng, place of gold. Since then, the city has grown and become the largest and most populous city in South Africa, and the largest city in the world not built on or near a major water source. 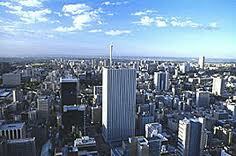 It is home to Africas tallest building, a large CBD and many smaller urban centres. The road infrastructure, telecommunicationss, health care, shopping, visitor attractions, dining and nightlife are world class. 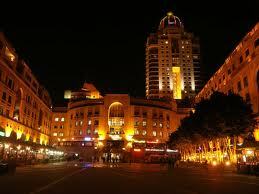 Joburg is lucky to have one of the worlds most pleasant climates, what is called a subtropical highland climate. The city enjoys a dry, sunny climate, with the exception of short late-afternoon downpours in the summer months of October to April, often accompanied by magnificent electric storms. Temperatures are fairly mild due to the city's high altitude, with the average maximum daytime temperature in January of 26 °C (79 °F), dropping to an average winter maximum of 16 °C (61 °F) in June. Winter is, perhaps surprisingly, the sunniest time of the year, with mild days but chilly nights. Magnificent trees have grown on what was grassland, creating the worlds largest urban forest with more than six million trees, and abundant birdlife. 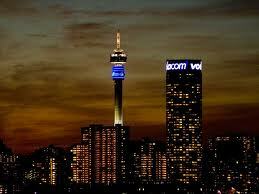 Like most of South Africa, Joburg is malaria-free so no precautions are necessary when visiting. The tap water is one of the cleanest in the world and is safe to drink. Should you be concerned, bottled water is readily available throughout the city.